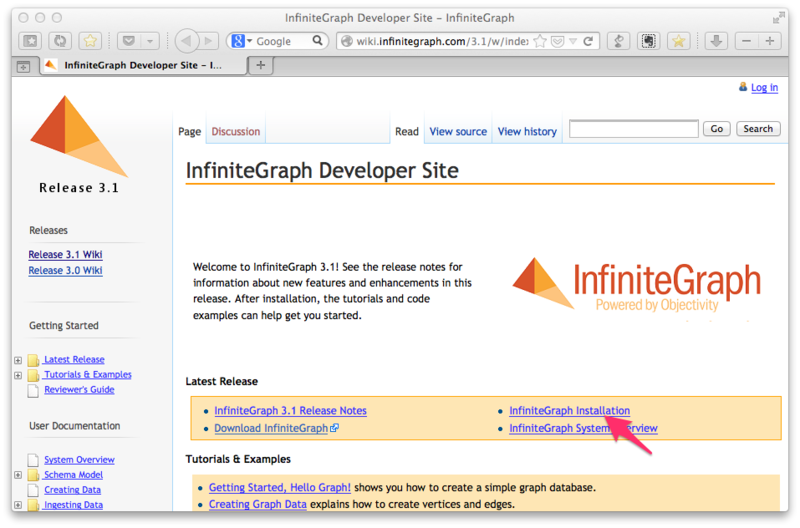 "InfiniteGraph product and license information. ID: XXXX"
Thank you for choosing InfiniteGraph! Your free product license key file is attached to this email. Please save this message for your records. You should also receive a second email containing links to product and additional support information. If not, please double-check to make sure it wasn't blocked by an email filter or moved to a sub folder in your Inbox. 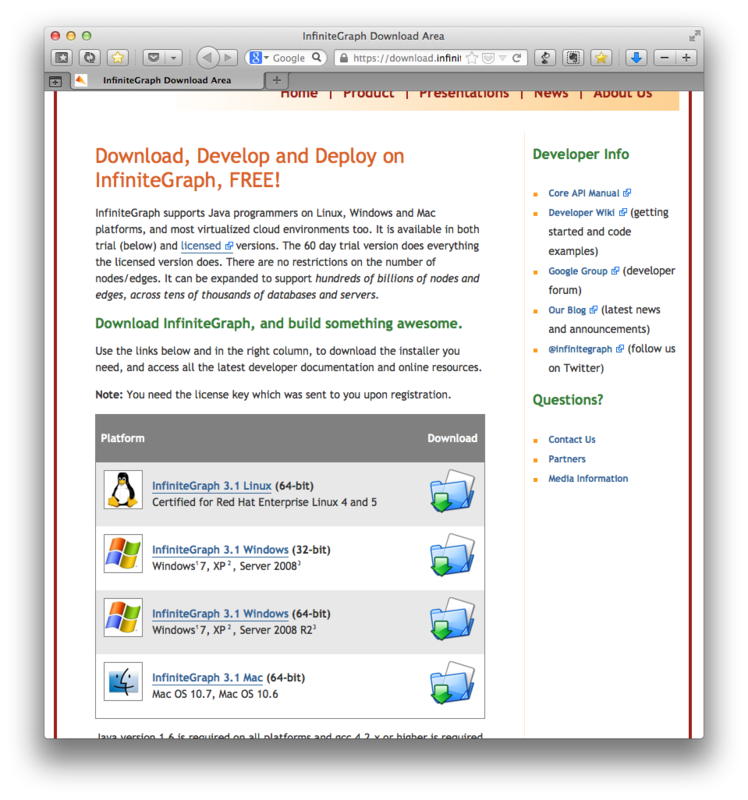 INSTALL INSTRUCTIONS: You will find installation, licensing and "getting started" help on our Developer Wiki. Copyright (c) Objectivity, Inc 1992, 2013. All rights reserved. Lock Server on host SilkYEBISU.local terminated. Copyright (c) Objectivity, Inc 1989, 2013. All rights reserved. Lock Server has been started. The AMS has been started (process ID = 21586). AMS on host SilkYEBISU.local terminated.